Need Watauga Foundation Repair? HD Foundations Offers A Warranty And Free Repair Estimates. 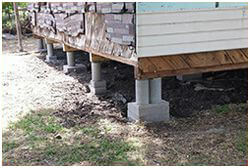 For foundation repair in Watauga, TX, call the contractors at HD Foundations. We offer a lifetime guarantee and are experienced professionals that can be of assistance. For Watauga service at a highly reasonable cost, contact us for foundation repair service today. Why Foundation Repair In Watauga? The main reason that property owners need to have their foundations restored is because of the type of soils that are found in this region. Clay soil expands, shrinks, shifts and causes foundation damage. Weather is a factor, too. When you need service in Watauga, it’s wise to enlist contractors that give you a foundation repair warranty. Whether you have a cracked concrete slab or a pier and beam foundation that’s sagging, HD Foundations can help. With a population of over 25,000, local residents often require our assistance. Sometimes leaks can be a problem, as can excessive amounts of moisture. Too much water can cause foundation upheaval. Due to relatively severe weather conditions in the Fort Worth area, it’s not uncommon for property owners to have foundation damage. If that’s the case with your commercial or residential structure in or around Watauga, get a free foundation repair estimate online today. We’ll be happy to stop by. If you have sinking or settling in your foundation, you can count on us. We can be of assistance by lifting your foundation and making it even again. The services that contractors at HD Foundations perform help to stop fractures and other forms of destruction. 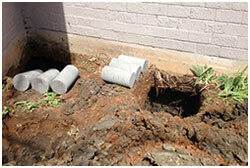 We aid customers by stabilizing their foundations and preventing a variety of issues. Of course, before you enlist contractors, you’ll want to learn what foundation repair costs. Fees in the Watauga area are about same as they are in the rest of the DFW area, and typically start at about $1,800. In the event that foundation issues are extensive, costs can be considerably higher. As many homeowners know, its imperative to make your house foundation is level. In addition to being unsightly, a damaged foundation can pose safety concerns and affect the value of your property. That’s why we install foundation piers, including steel and concrete piers. 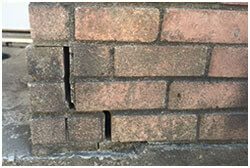 We’re highly qualified Watauga foundation repair contractors that help stop foundation cracks and other problems. If a foundation drainage system such as a French drain or surface drain is needed, we can install that, too. We offer a spectrum of services designed to protect and preserve your foundation. If you see signs of trouble, let us know. In the event that you do need service, we’ll provide you with free cost estimates. To request a thorough foundation evaluation on your Watauga area structure, contact us today.